We understand life can be unpredictable. Maybe you’ve had a busy week. Maybe you’ve been unwell. Maybe your wi-fi has been down. We’re not here to judge. Whatever your reason for falling behind on this week’s entertainment news, we’ve got you covered. From Piers getting pied to Bunton getting Bake Off, catch up on everything you’ve missed below. If you tuned into the X Factor last weekend, you might recall footage of excited contestants enjoying the high life in business class. The 24 hopefuls were on Aer Lingus flights to glamorous locations such as Los Angeles for Judges’ Houses. But all was not what it seemed – a fellow passenger saw the contestants moved to economy once filming stopped. “The contestants were shown sampling the business class cabins,” is how Aer Lingus described it in a statement. Spice Girl Emma Bunton was revealed as the new presenter of the US version of The Great British Bake Off. The Great American Baking Show will return to TV in the US later this year with Paul Hollywood returning as judge. Sherry Yard will join as a judge and Bunton will co-host with American footballer Anthony ‘Spice’ Adams. Puppeteer Caroll Spinney, famous for playing Big Bird and Oscar the Grouch on Sesame Street, announced his retirement at the age of 84. Spinney has portrayed the characters – including providing their voices – since the show’s start in 1969. A statement from the puppeteer was tweeted on Sesame Street’s official Twitter account. “Before I came to Sesame Street, I didn’t feel like what I was doing was important,” he said. The partial shredding of a Banksy artwork didn’t go entirely to plan, the artist confirmed. 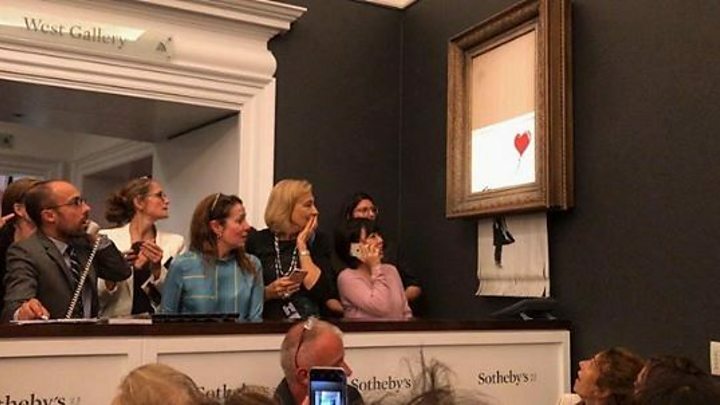 Love is in the Bin self-shredded in its frame immediately after selling for £860,000 at Sotheby’s last week. This week, Banksy uploaded a video suggesting the entire canvas was supposed to shred, and not just two thirds of it. Harry Hill gave Piers Morgan his just desserts for mocking Daniel Craig’s baby carrier. Ariana Grande and Pete Davidson ended their relationship, US media reported. The pair began seeing each other in May this year, with their engagement following soon after. They met back in 2016, when Ariana appeared on Saturday Night Live – on which comedian Pete is a cast member. 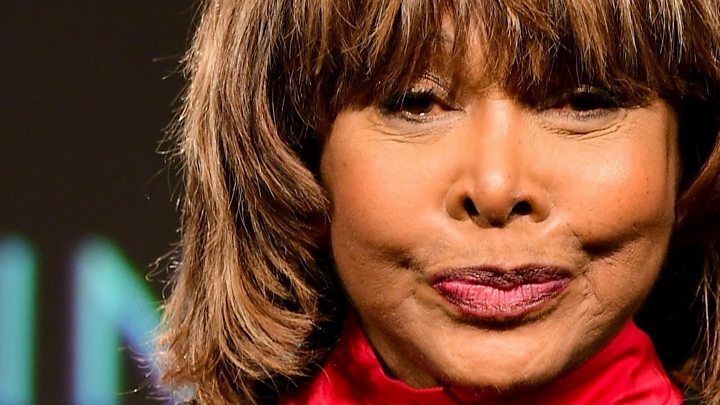 Tina Turner opened up about her son’s suicide earlier this year. Craig Turner was 59 when he was found dead in July at his Los Angeles home from a self-inflicted gunshot wound. Speaking to BBC News, Tina Turner said his death came as a shock because he had seemed fulfilled in both his professional and personal life. Roseanne Barr objected to the way her character has been written out of The Conners, a spin-off show to her cancelled self-titled sitcom. Picking up three weeks after her character Roseanne’s sudden death, the show’s first episode revealed the family matriarch died from an accidental opioid overdose. ABC cancelled Barr’s sitcom in May after she posted an offensive tweet. US TV viewers failed to flock to The Conners, which suffered a 43% fall in ratings compared with the launch of the Roseanne reboot. The Halloween reboot, which sees Jamie Lee Curtis reprise her role as Laurie Strode, received mixed reviews from critics. Ahead of the film’s release this weekend, Jamie Lee Curtis told BBC News why Halloween “isn’t a franchise”, and why she regrets making some of the previous ones. How do the critics rate the new Halloween?